AMD’s Computex 2018 conference is now available to stream live from the comfort of your own sofa. We are expecting AMD to use this platform to open up about Threadripper 2 HEDT CPUs, Ryzen 3 2000-series chips, B450 motherboards, Vega Mobile, and maybe even the top-of-the-line Ryzen 7 2800X chip. Okay, so maybe all our dreams coming true in one press event is a little hopeful, but Computex is one of the biggest events on the calendar for hardware and tech – which runs from June 5 to June 9, 2018 – and we can expect tons of new products to be unveiled at the bustling event. The event and live stream starts on June 6, 2018 at 10am local time – that’s 2:00am UTC, 3:00am BST, and 10:00pm, June 5, EDT. But if you’re reading this after that time, the webcast will be available online for a year… so you’ve got time to catch up. Want the latest and greatest AMD CPU? Look no further. 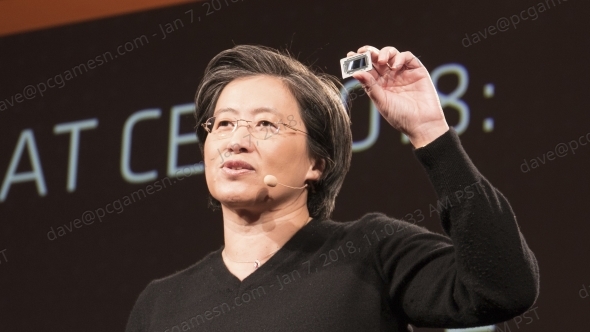 Along for the show is AMD president and CEO, Lisa Su, who will likely offer some insight into what to expect from AMD for the remainder of the year. Also making an appearance at the event is general manager of computing and graphics business group, Jim Anderson. 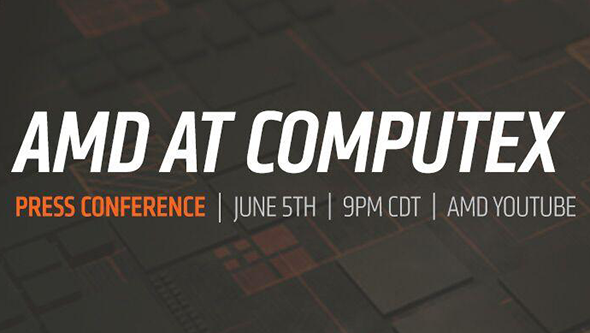 You can watch the livestream here, right now, or through the AMD Computex page, but the webcast should also be available through the AMD YouTube channel too. Threadripper 2 will likely be on the agenda, as these HEDT high core-count processors have been on the docket for release later this year for some time. 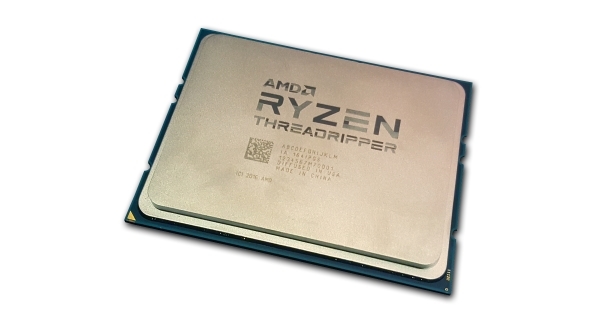 AMD is currently sampling Threadripper 2 chips, which signals these multicore beasts are being finalised for imminent release with extra cores and a higher TDP. We also expect the lid to be taken off of the entry-level AMD Ryzen 2 processors. Mainstream and enthusiast Ryzen 5 and Ryzen 7 CPUs launched in April, but we still have no word on any Ryzen 3 processors on the way. As it stands today, only the Ryzen 2200G APU and first-gen chips are on offer at the entry-level. If we assume a similar launch cadence to the first-generation Ryzen chips, we can expect any number of Ryzen 3 chips to release sometime toward the end of June/July. Speaking of Ryzen, we may finally see the Ryzen 7 2800X, which was noticeably missing from the initial 2000-series Ryzen launch. Jim Anderson previously alluded to a 2800X chip at a Ryzen 2 launch event, touting the Ryzen 7 2700X and 2700 as worthy replacements for the time being. AMD may well be holding back the 2800X until the octacore Intel Coffee Lake CPU launches – expected later in the year. If that’s the case, AMD may keep the 2800X under wraps until a later date. While the X470 chipset is already out in the world, we haven’t yet had any other budget-friendly 400-series motherboards for the AM4 platform. However, rumours suggest a B450 motherboard could be on the way sometime in Q3, and it’s very likely that AMD or its board partners will have a new chipset to show at Computex. Supposedly, this new board will feature the enhancements introduced with the X470 motherboards, such as memory support, VRM optimisations, increased efficiency, and USB speeds. There’s unlikely to be a huge change in functionality for most users compared to the X470 motherboards, which should make B450 a slightly more affordable option for most Ryzen builds. On the laptop front, Vega Mobile was announced way back in January, but we’ve heard nada about these discrete mobile GPUs since. 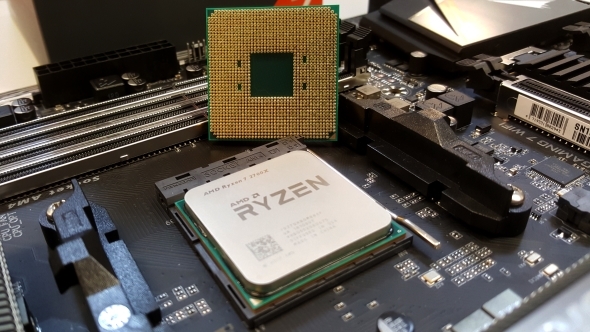 With benchmarks for high-performance Ryzen Mobile chips – the Ryzen 7 2800H and Ryzen 5 2600H – appearing online, it could be the sign of AMD making a renewed push into the laptop market and finally taking on Nvidia’s dominance in the high-performance notebook GPU market. Last, but certainly not least, there’s the first 7nm product from the red team: a 7nm Vega graphics card for machine learning. We haven’t heard much about development of this card since the start of the year, so AMD might well enlighten us further at Computex. AMD has been aggressively sustaining the momentum the company kick-started back with the launch of Ryzen in 2017, and there’s no reason to doubt that it will have more on the way to keep pushing back against the encroaching Intel and Nvidia in key markets. With Nvidia rumoured to be close to launching the GTX 1180, and Intel releasing the i7 8086K, AMD may have something big up its sleeve for Computex, so this live stream should be one to watch.